How was your Sunday? I hope you had a blessed, wonderful day with your family! 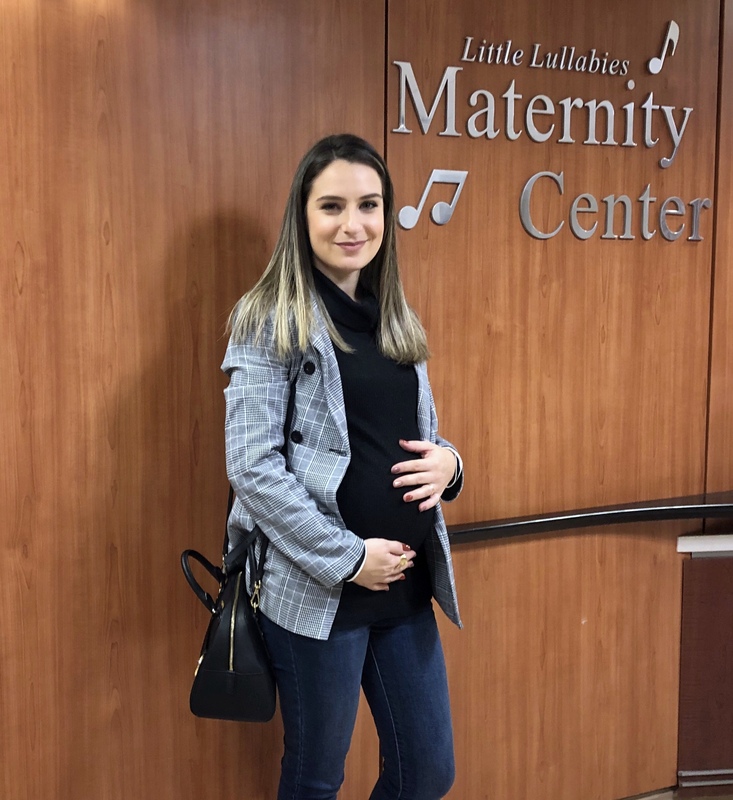 Today I had the opportunity to attend a maternity class at the Clara Maass Medical Center in Belleville, New Jersey. The class is called Welcome Baby Sibling and through this class, small children 3 years and older are introduced to the exciting role of being an older brother or sister that helps them feel involved. We started by meeting Laura Pantusco, a certified child life specialist. She was very nice and made the kids feel comfortable learning about babies and about welcoming them into the new “older brother” world. We followed her along the maternity hall for a tour where moms stay after the delivery. 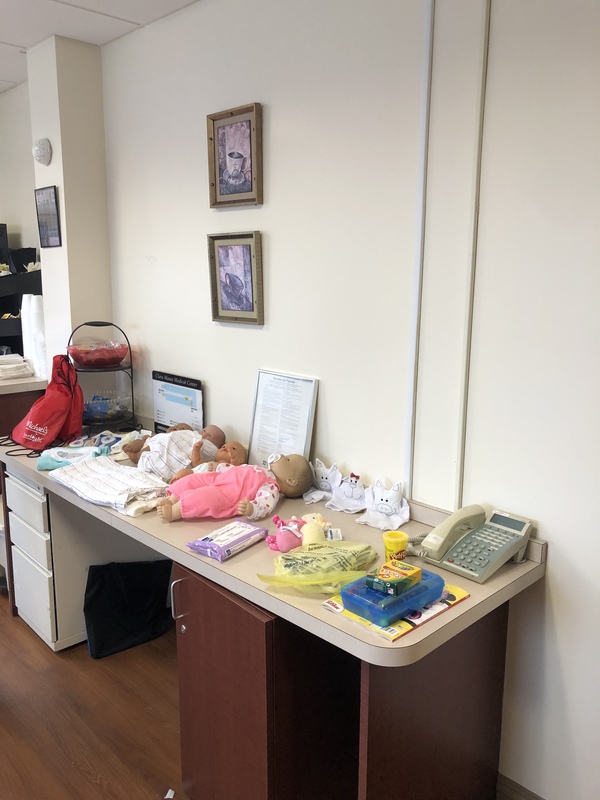 We were able to chat with some nurses and the kids got to see inside the room where moms stay for recovery with their babies. After that we went to a parent education room where Laura had a few props prepared to offer an educational class for the little kids. She started by getting them engaged and interested in learning more about babies. She talked about what babies like to eat, how to hold a baby, and how the kids can play the role of big brother and get involved to help their parents. This is very important to make the older kid involved and aware that there is another little one coming and that they will help mom and dad with the baby. After the entartaining educational class we headed to the labor/ delivery and nursery hall. We were also introduced to the nurses around and Laura showed the kids the entire labor/ delivery room. 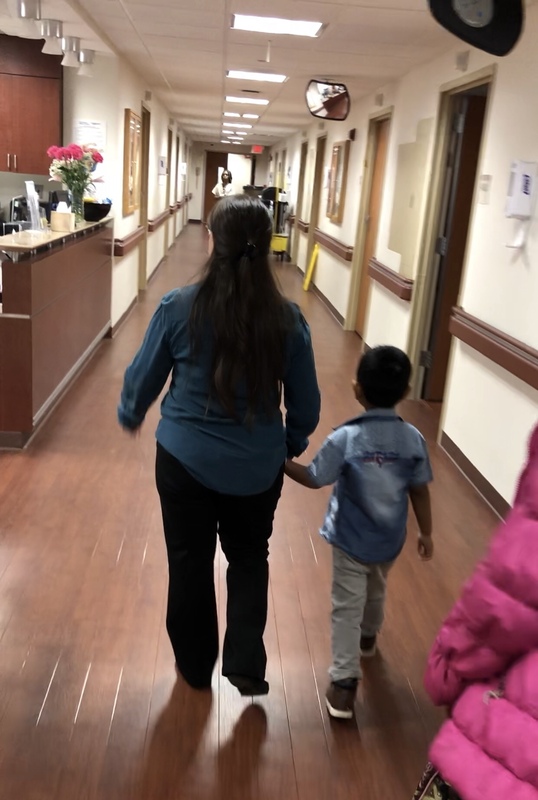 She showed the kids the bed where moms give birth, the place where the doctors put the baby once they are born, the machines that count the heartbeats, and many other details. At the end we hang out by the lobby and she let the kids hold the doll babies and create a little gift for their baby brother/sister. I was so glad NJMOM let me learn about this program and that I was able to be part of it. Even though baby Gabriel is a little bit too young to attend and understand, the class helped me to get some insight of how to treat the older sibbling. The arrival of a new baby can bring many changes to a family. We as parents spend a lot of energy on preparations, and after the baby arrives, much of the family’s attention involves caring for the newborn. And I know that all this change can be hard for older siblings to handle, specially the younger ones. It’s common for them to feel jealousy toward the newborn and to react to the upheaval by acting out. 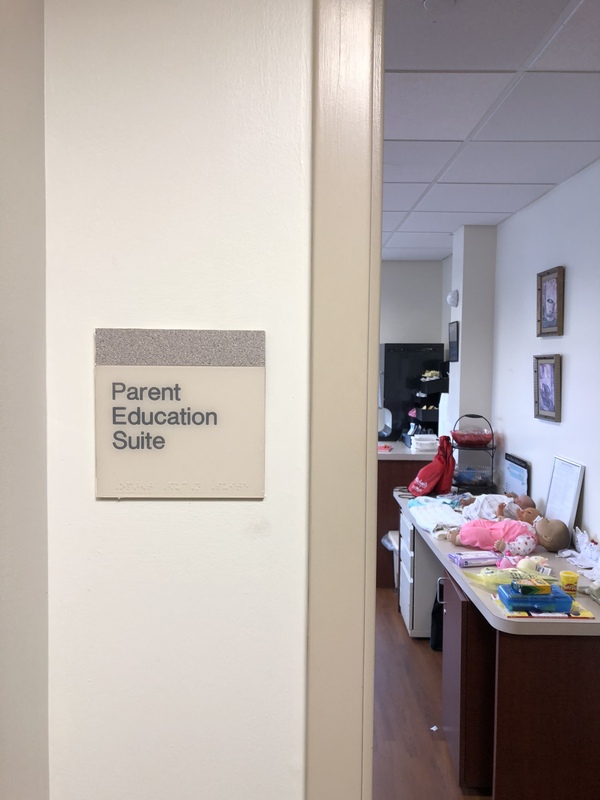 So its really nice that RWJBarnabas offers these type of programs so parents can prepare kids for an addition to the family. Discussing the pregnancy in terms that make sense to kids, making some arrangements, and including kids in the care of the newborn can make things easier for everyone. 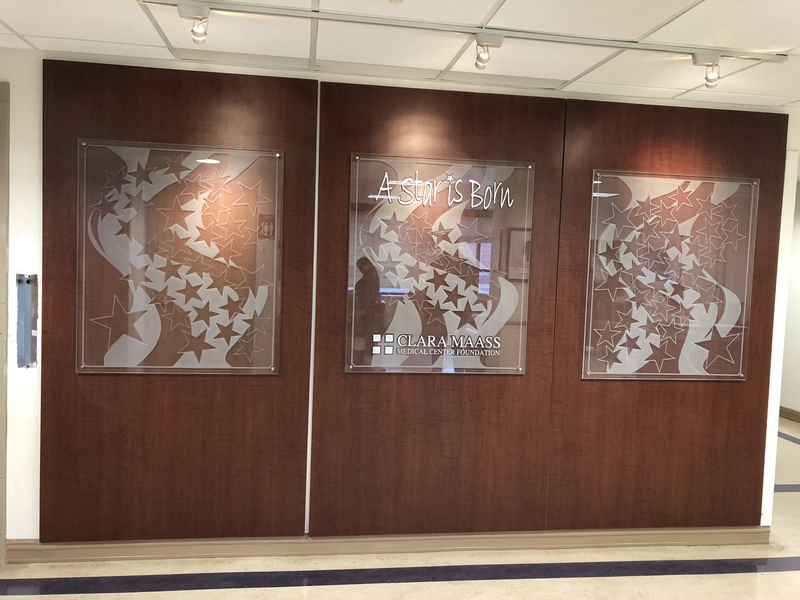 This particular class is a part of many of the programs that RWJBarnabas has to offer. 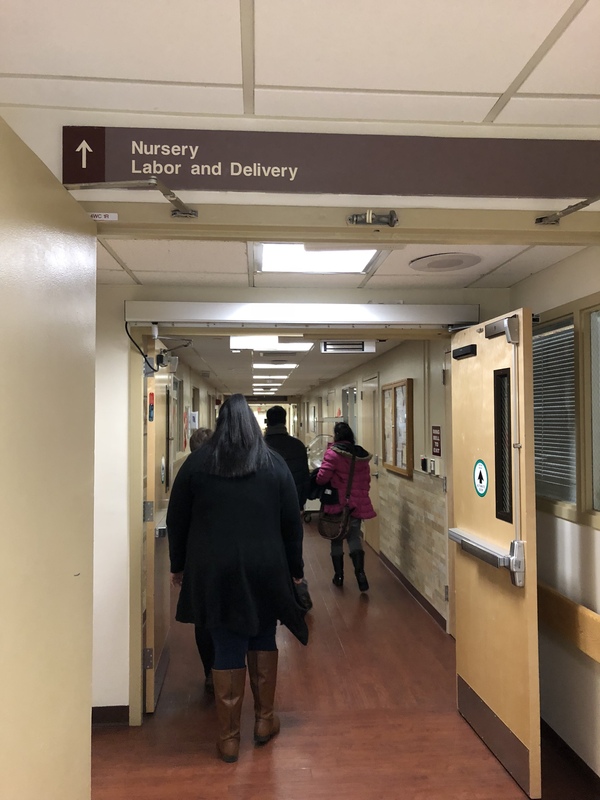 It is held on every first Sunday of the month and its a 2 hour class/tour that focus on giving information about the childbirth process and newborns, and also gives a tour of the maternity unit.